Why You Should Choose World Class Spine Neurosurgery Hospitals in India ? Any space occupying structure within the spinal canal like herniated or bulging disc, thickened ligament, osteophytes (bone spurs), facet joint thickening can compress the spinal cord resulting in symptoms such as pain, numbness, tingling and weakness of the hand or legs. In extreme cases loss of bowel and bladder control is also observed. Laminotomy aims at making an incision in the lamina, to remove a small part of it, creating room for the spinal cord within the canal. This relieves the compression and thus the symptoms disappear. Through the hole in the lamina, the thickened ligament or disc fragment which may be compressing the cord and nerves are also removed. “To discover that I suffered from spine problems was quite a shock for me. I then went to the Internet and found SafeMedTrip website amongst several others. I sent e-mails off with my specific problem outlined to three sites. 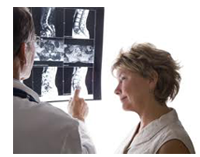 How Can You Get a Free Expert Opinion from Top Spine Specialists in India ? "I had so many apprehensions and concerns prior to coming to India for surgery that I needed badly to regain my health. "Thanks for your always prompt responses to my volley of questions and concerns. I could not have managed even a step without your staff's excellent care. I couldn't be happier with the Indian hospitals, surgeon, physicians and their expertise. Everyone is very professional yet compassionate."